The Indian Valley Wildlife Area (of which Walker Ridge is a part) is overseen by the California Department of Fish and Wildlife (DFW). 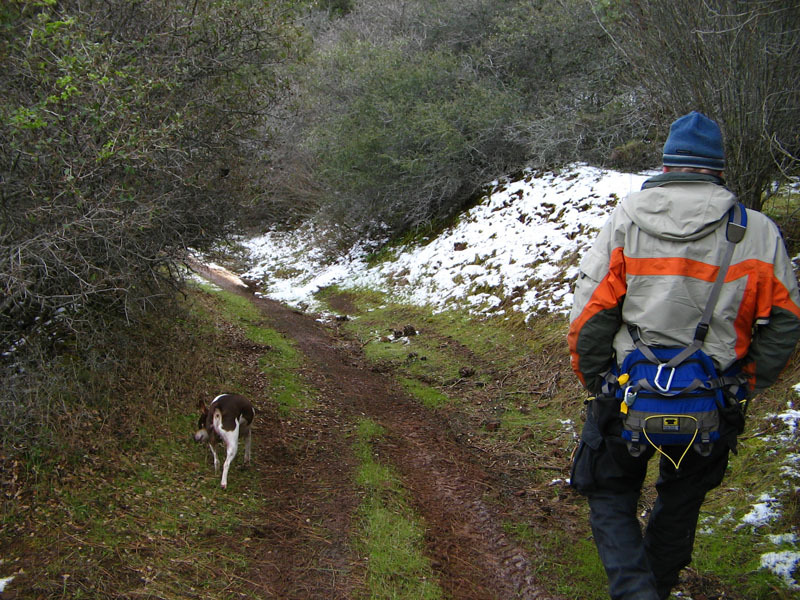 The trails are overseen by the Bureau of Land Management (BLM), Ukiah Office. Camping is allowed along the trail. Campfires require a valid fire permits from the BLM. For the most current information on the trail's condition, closures, and fire restrictions contact the BLM. From Yolo County, Woodland and Davis, take Highway 16 through the Capay Valley, all the way to the intersection with Highway 20. Turn left on Highway 20, and continue on Highway 20 until you reach Walker Ridge Road which will appear on north (the right) side of the road. 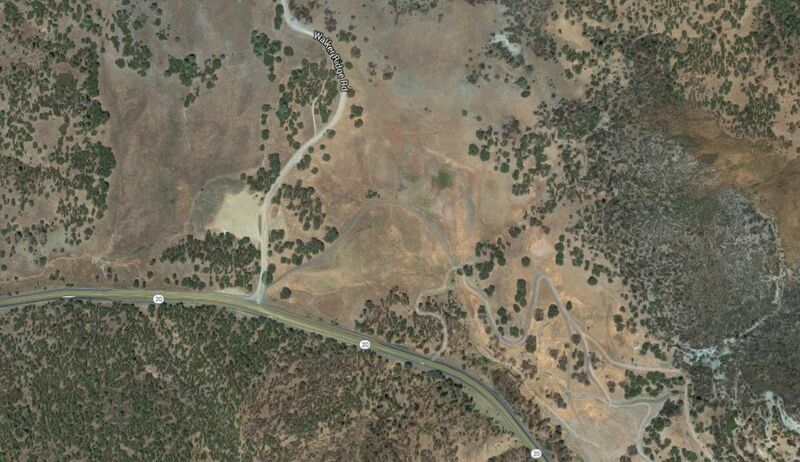 Turn onto Walker Ridge Road and continue until the intersection of Walker Ridge Road and the road to Indian Valley. Park at the intersection, where there is ample room (see photo below). Hike a short ways back up the road you came in on, looking for the trail on the east side of the road. This hike is best with a GPS unit, or at least a map and a good sense of direction (and compass). Walker Ridge has a network of old roads and trails, remnants of the mining era that cross the ridges and valleys around Signal and Eagle Rocks. Both rocks are seen on USGS maps of the area and the map provided below. Starting from the parking area at the intersection of Walker Ridge and Indian Valley Road, you’ll hike back up the road until you see the trail heading east off of the road. Hike down the trail, turning left at the first and second intersections. You’ll head north toward Signal rock. Signal Rock is on a small spur off the trail. After visiting Signal Rock getting back on the main route, you’ll follow the trail until it intersects with an east-west dirt track. Head East toward Eagle Rock. You won’t hike all the way to Eagle Rock, since it is on the other side of a canyon. You will look out from a rock outcropping. 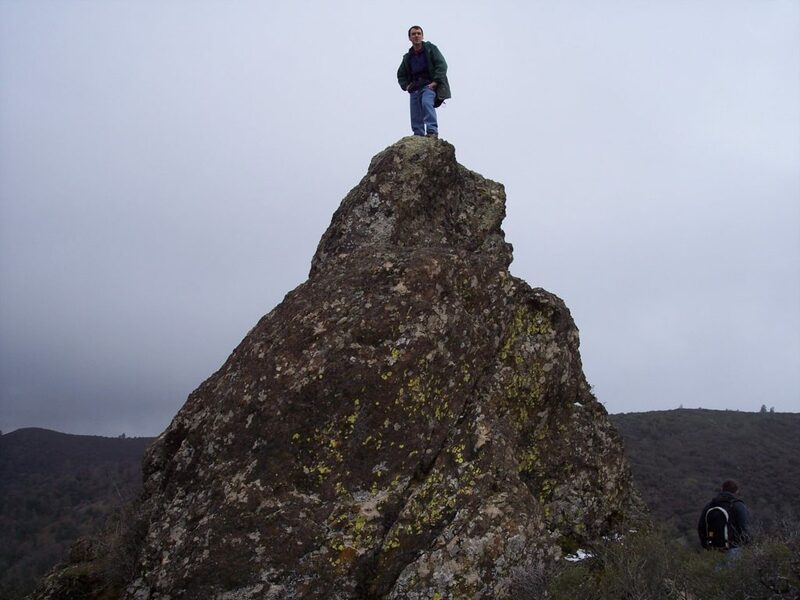 After seeing Eagle Rock, hike back along the same route, until you reach the trail heading north toward a creek. This will take you to the east-west trail that heads to Oak Cove, and ultimately to the Clyde Mine. Because of the large number of intersecting trails, be sure to follow the map and load the GPS track into your GPS unit. This will help keep you from getting lost. Remember that you will be east of Walker Ridge Road during this hike, so if you head west if you get lost, you will intersect Walker Ridge Road and be able to get back to your car. This is not the only hike possibility up here, given the large number of roads and trails, so have fun exploring, but obey any ‘No Trespassing’ signs you see. There are private inholdings in the area.